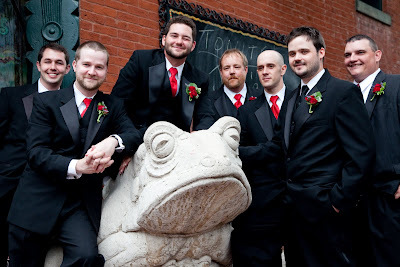 This September wedding of Kelley and Justin took place at St. Agatha’s in Soulard and Lemp Mansion. 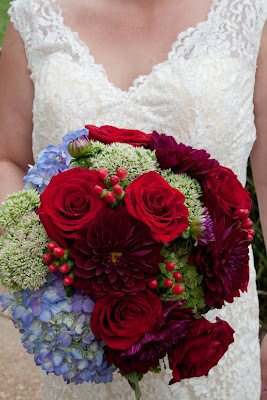 These flowers are great examples of how texture can really bring added interest to bouquets. 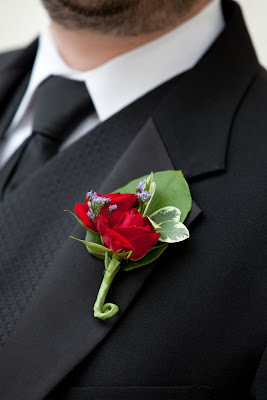 Notice how the different shapes and sizes of flowers really bring your eye in to see everything in the bouquets. Thanks to Lace for these beautifully detailed photos. 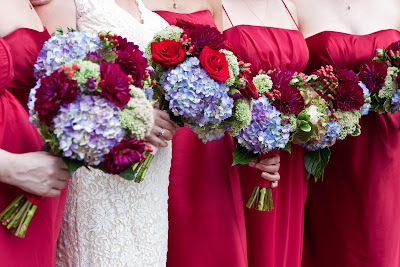 The bridal and bridesmaids’ bouquets incorporated dark purples, blues, red, and greens for a very rich color palate. 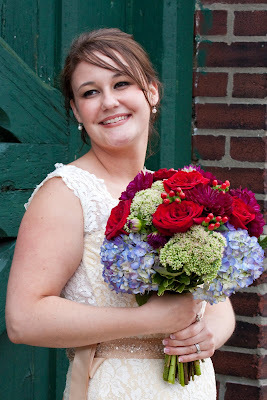 Open roses, hydrangea, sedum, berries and dahlias all played a part in the lushness of Kelley’s bouquet. 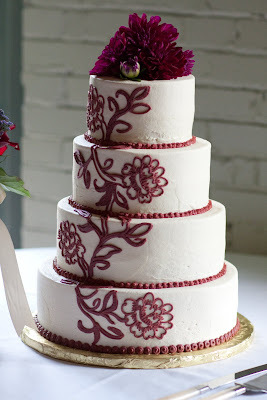 Each flower added a unique element to the whole. 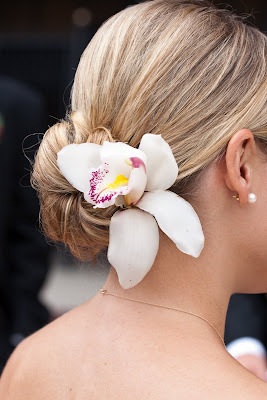 White cymbidiums were also worn as hair flowers. 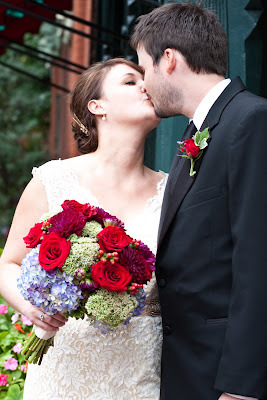 The guys wore red spray roses with a little purple accent to match the girls. 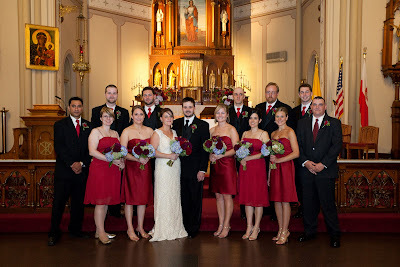 The wedding party at St. Agatha’s. 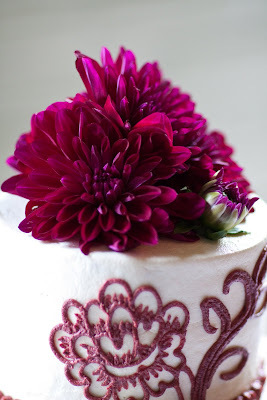 The cake was decorated with a few dark red dahlias on the top. The centerpieces were so unique! 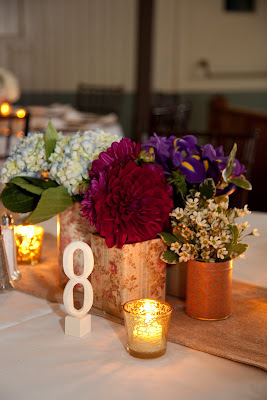 Five tea tins were decorated by the bride with printed paper for each table. 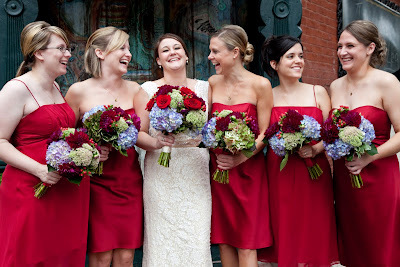 Sisters filled each tin with a cluster of wedding flowers in wedding colors. Each table was different and interesting. Special thanks to Christy at All Dressed in White for coordinating an awesome event! 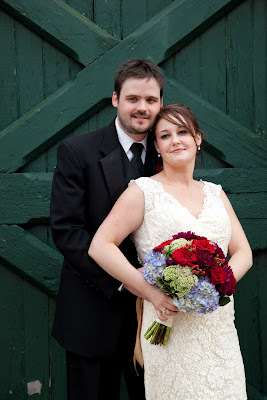 All our best to Kelley and Justin!! It was a pleasure working with you!